To curb black money ,the Government of India discontinued the printing of higher denomination currency notes like 1000/-,5000/-,10000/- and stopped from 15 th January 1978. But From Oct 2000 again released 1000 rupee notes. Great people will have the hobby of collecting these notes. If any one holds these notes please write in below comments. i have a 5 rupee note of c.d deshmukh but only 3 deer r dere. 10000 ,5000, la hai kiya.. I want to buy 10,000 n 5,000 notes if you have it then please contact me or whatsapp at my number 9732230076. Only the genuine sellers may contact me. We are interested for buing thi note pl send me the detail of note such as photo of note and app price of note. Renu could you send the details of your collection in my mail id(singh.ashish019@gmail.com).i have interest . Hello I'm interested in buying 10,000, 5000 notes if any one is ready to sell please contact me or whatsapp at my number 9732230076 with the pics of the notes. Only the genuine sellers please contact. i have 5000 and 10000 rs specimen note if anyone intrested to buy contact me on 09920842342. Can you please send me your email? Please send me the pictures of your 10,000 n 5,000 notes at my number whatsapp number 9732230076. I'm interested in buying. I am looking for Rs.1000,5000 & 10000 note to buy if any one have and wants to sell pls contact with the scan copy for verfication along with the price iondication. Hi I'm interested in your 100 rs note and also want the details of the clock. Please send the pictures of all these articles on my whatsapp number 9732230076. If you have 10,000 and 5000 notes please let me know. I have 5 deers 5 rupees note. .Note condition is old. . I have a Re.1/- note of 1935. This is signed by J.W.Kelly. If anyone is interested please send mail to chanchal_cdg@yahoo.com. 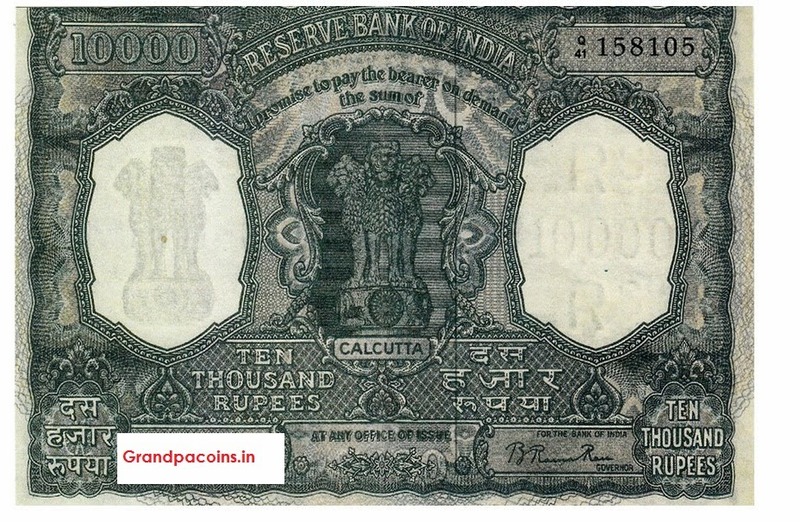 Hi , i am interested in buying old 1000 Rupee note of 1970's . contact me via email sameerfbd@yahoo.co.in . I am interested in these Coin can u what app the pic 9012035392. I have a unique serial number collections of various denominations and also some unique defective note collection, also a very rarest of the rare 7 digit number note... I have been collecting notes for last 25 years and now would like to sell my collection to some good collector. Call me for more details...Prashant Naxane on + 91 9096744674. Do u have specimen note? What if " this note is not legal tendar" is printed on 10000 rs note? What does it mean? Real or fake? I have 5 rupe specimen note. How much u will pay for that? i have 1971 one rupee old note indian how much i get ???? I have persian gulf 1959 10rupees note of india. Signed by H.V.R Iyengar at Bombay Anyone interested pls email me. Thank u.
I've a bundle of 1 rupee note(starting from 997000) signed by M G Kaul and many Indira Gandhi 5rs coins. If anybody is interested to buy drop me a mail. If any one has 5000 n 10000 rs notes pls what's up me at 9945500827.. I have a ten rupee note by B Rama day with error in Hindi "rupya"
Hi I am having very old and rare Indian Coins and Notes from 18__ to 1943.. If anybody needed Whatsup No 9940344608 - Madurai ( Tamil Nadu ) or Mail to arunboy8@gmail.com. I have many notes with 786 as last in their series n one with 000786 as serial no. Any body have 5000 and 10000 not I want to buy contact me 8078605101. I have 12 notes of 10000 and 4 notes of 5000 Rs. 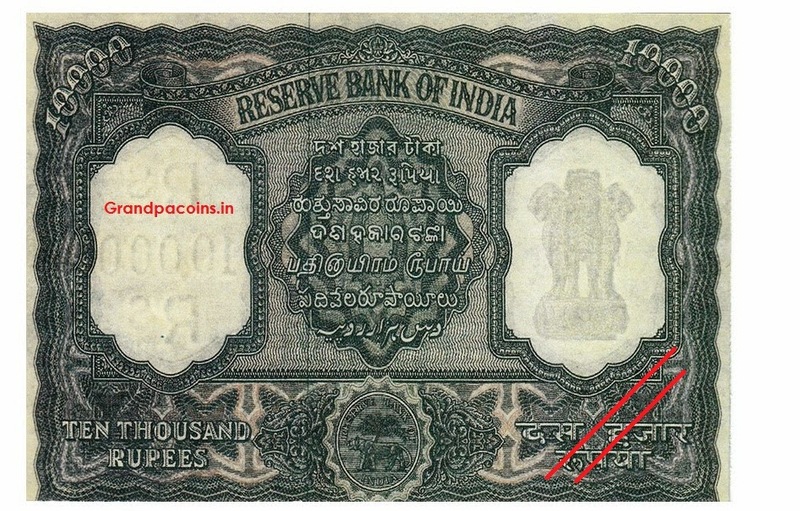 10000 Rs. Notes and 3 notes of 5000 are in excellent condition. Hi can you watsuf me the photo of 5000 / 10000 rupees in my number 94307 39781 with price. I have 15 20 one rupee note signed by Montek Ahluwalia.. J K Kaul.. Series number 786786.. In very good condition. If interested pls share your contact details. 500x3 and 1 in not very good condition. 2.5x1.if anybody need contact me at 9414945457. Hi I have notes ending with 786 holy no. any one interested please whatsapp on 8235035055. I want 1,5,10,20,100,500,1000,5000,10000 rs old notes. My what's up 9730035544.